Wednesday 10.00 - 12.00. Other days or times can also be arranged by email. 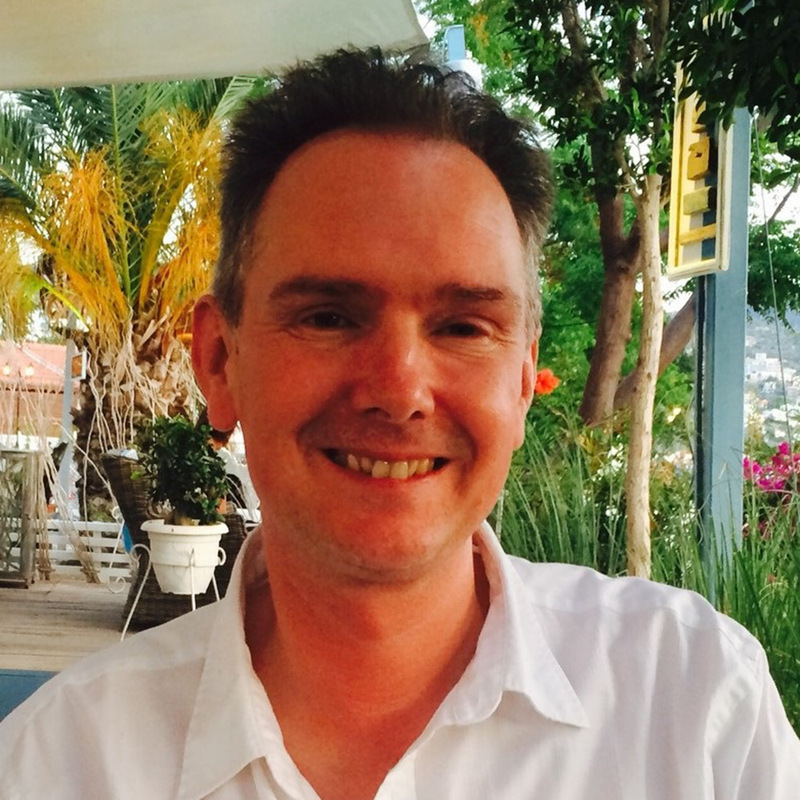 Eamonn joined the department in 1998 and has published broadly in criminology and sociology. He currently serves as an editor on the British Journal of Criminology, and is an international advisory editor on Theoretical Criminology. From 2015 Michele Brown (University of Tennessee) and Eamonn have been editing Crime, Media, Culture. He has been an external examiner for the degree programmes at Goldsmiths College, University of London (Sociology), Roehampton University (Criminology) and the University of Salford (criminology), while he is currently the external examiner for the MA in Criminology at the University of Nottingham. He was also a member of HEFCE's Sociology sub-panel that assessed the quality of research for the 2014 Research Excellence Framework. Along with Chris Greer (City), Yvonne Jewkes (Leicester) and Tony Kearon (Keele), were awarded funding from the ESRC [ES/J022381/1] for a Seminar Series led by Ronnie Lippens (Keele), to explore Visual criminology: crime, criminal justice and the image, involving international speakers from the US, Canada and Australia. The seminars ran from 2013-14, and one event was held here at Essex in Wivenhoe House. More recently Eamonn has also been awarded a Leverhulme Trust Major Research Fellowship to research his project 'The Iconography of Punishment: From Renaissance to Modernity', which will run for three years and began in 2015. He was elected a Fellow of the Academy of Social Sciences in 2016, and will be a member of the 2021 REF Sociology sub-panel . Eamonn has completed writing a book on Crime and Social Theory and unlike many of the books on this topic, the work concentrates on how aspects of social theory illuminate key problems in criminology. It avoids presenting theoretical work in a series of discrete chaptersin which theories seem to be entirely cut off from one another and divorced from any direct relationship with empirical research. Insteadit aims to advance current understandings of crime, order and security so that more convincing explanations of complex social processes can be generated.The book provides an account of the social theories on which studies of crime and its control inevitably rest. Either implicitly or explicitly every such study, no matter how resolutely steeped in narrow, technical issues, is also grounded in larger, more theoretical understandings of how social worlds operate. One of the consequences of the striking expansion of criminology over the last twenty-five years or so has been the development of distinct specialisms and the invention of an entire criminological tradition. Consequently the book explores the sociological implications of such growth and the challenges it presents to the intellectual jurisdiction of the discipline. His next major project is the work on 'The Iconography of Punishment: From Rennaisance to Modernity', which has been awarded a Leverhulme Major Research Fellowship, and began in 2015. The work focuses on how punishment has been represented in the literary and visual arts and it intervenes in the recent turn to cultural analyses in the sociology of punishment. Work from this project has already been published in The Prison Service Journal, and a more extended treatment of the issues is covered in his chapter on 'Telling Prison Stories' in an edited collection on The Arts of Imprisonment,while the distinctive ethical problems posed by visual criminology areaddressed in an article for theBritish Journal of Criminology. This paper was awarded the Radzinowicz prize for 2012 by the journal. A further paper on 'Images of Torture' has been published in Crime, Media, Culture. This piece examines the debates provoked by the notorious Abu Ghraib photos and those produced in the wake of the scandal. These arguments have been developed in a recent article in Theoretical Criminology, which focusses on four images that are among the most astonishing images to have survived Auschwitz, providing disturbing visual evidence of the crime of crimes. The overall aim of the project is to trace the iconography of punishment over some 500 years, to identify how certain motifs are stored in collective memory and to explain why some have persisted for so long, while others have disappeared. In this way we can better understand the ties between the past and the present, which are often closer and stranger than we might think. The research will combine readings in social theory, art history and philosophy, as well as the historiography of distinctive periods with extensive and original archival work in local and national collections. Eamonn is particularly interested in supervising postgraduate research covering his research areas, or can discuss ideas with potential research students. Carrabine, E. Reading Pictures: Art History and the Sociology of Punishment, Paper presented at the American Society of Criminology conference, November 2016, New Orleans, Louisiana. Carrabine, E. 'Picture This: Criminology, Image and Narrative'. Paper presented at the Centre for Criminology and Criminal Justice, University of Hull, 9 March 2016. Carrabine, E. The Iconography of Punishment, invited to give the annual undergraduate Sociology lecture, Goldsmiths College, University of London, 8 Dec 2015. Carrabine, E. Diane Arbus, Deviant Sociology and Visual Culture, Paper presented at the American Society of Criminology conference, November 2015, Washington, DC. Carrabine, E. On Impact invited to give a plenary at University Campus Suffolk Research and Scholarly Activity Day, 24 June 2015, Ipswich. Carrabine, E. Doing Criminological Research invited to speak at the first Irish Postgraduate Criminology Conference, 27 March 2015, Dublin. Carrabine, E. Diane Arbus, Deviant Sociology and Visual Culture presented at a Cafés des Artistes public discussion evening on 10 March 2015 at Kirkaldy art gallery, who hosted a Diane Arbus show from 14 February to 31 May 2015. Carrabine, E. Representing the Prison: Documentary and the Iconography of Punishment, Paper presented at the American Society of Criminologyconference, November 2014, San Francisco, California. Carrabine, E. Iconoclasm, Hope and Imagination. Invited to give plenary at the British Society of Criminologyconference, University of Liverpool, July 2014. Carrabine, E. Contemporary Criminology and the Sociological Imagination. Invited to give plenary at the National Deviancy Conference, University of Teeside, June 2014. Carrabine, E. Picture This: Criminology, the Archive and Narrative Analysis. Invited to present a paper at the First International Symposium on Narrative Criminology, University of Oslo, May 2014. Carrabine, E. Seeing Things: Violence, Voyeurism and the Camera Paper presented at the Visual Criminology ESRC Seminar, February 2014, University of Leicester. Carrabine, E. 'Crime, Representation and Social Theory'. Paper presented at the American Society of Criminology Conference, November 2013, Atlanta. Carrabine, E. 'The Iconography of Crime and Punishment'. Plenary presentation at the Postgraduate Criminology Conference, August 2013, University of Oxford. Carrabine, E. 'Seeing Things: Violence, Voyeurism and the Camera'. Paper presented at the American Society of Criminology conference, November 2012, Chicago. Carrabine, E. 'Seeing Things: Violence, Voyeurism and the Camera'. Invited to give a seminar at All Souls Criminology Seminar Series, University of Oxford, October 2012. Carrabine, E. Doing Visual Criminology invited to give a plenary at the Netherlands Society of Criminology Conference, 11-12 June, Leiden.